The Spirit of Banaras is an extraordinary documentary. This is the first film that takes its viewers inside one of the most sacred sites of Hinduism, the tiny Gharbha-griha or the sanctum sanctorum of Kashi Vishwanath Temple. Never before the beauty of Vishweshwar Mahadeva was so vividly filmed and presented. Never before the beauty of Vishweshwar Mahadeva was so vividly filmed and presented. 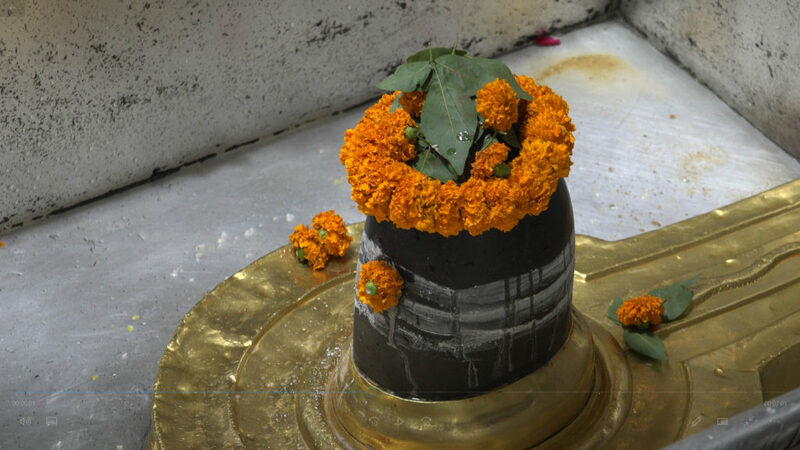 In one of the memorable scenes, one could see amidst the clanging of bells and the chants of Har-Har Mahadev hundreds of devotees jostling to offer flowers, leaves, sacred ash, milk and the holy Ganga water to Baba Vishwanath as they call him with love and reverence. The Spirit of Banaras is produced and directed by the veteran NRI journalist and the former BBC Hindi Radio Editor, Dr. Vijay Rana. The film explores the mind and wisdom of India’s eternal city. In the backdrop of a remarkable culture fostered by India’s most revered river Ganga, the film traces the origins and evolution of the city. With some captivating sounds and sites of the city, the viewer is visually placed in the middle of the mass of humanity that worships Lord Shiva and pays respect to the saints like Kabir, Tulsi, and Raidas. The city has historically remained a fertile ground for India’s continuously evolving quest for spiritual ideas. This tradition began when at the dawn of Indian civilization Lord Shiva made the city as his preferred home. Later Buddha arrived here from Gaya to set the Wheel of Dhamma in motion. Some of the giants of Indian tradition Adi Shankara, Kabir, Tulsi, and Raidas explored their ideas, sometimes amidst orthodoxy and opposition. It was a remarkable quest expressed through an extraordinary array of spiritual poetry, religious texts, and soulful music. Banaras is now the parliamentary constituency of the Prime Minister Narendra Modi, where a lot of regeneration work is taking place. The film focuses on the concerns that Banaras faces today, such as environmental protection of Ganga and the ambitious Ganga-Vishwanath corridor. The current government is planning a 50 feet wide corridor straight from Ganga to the historic Vishwanath temple that is now surrounded by dingy encroachments. The proposed corridor will end the misery of millions of pilgrims who now have to queue for hours in the narrow lanes to visit the temple.